The use of fennel as a medicinal aid goes back to ancient civilizations. 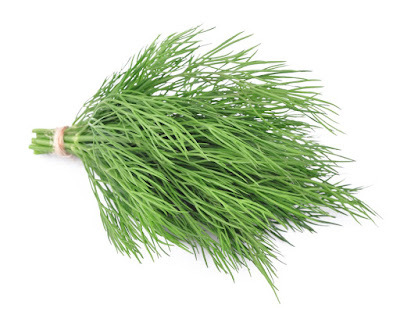 Pliny the Elder, a first-century Roman historian and scientist, attributed 22 healing properties to fennel. Roman warriors used to eat fennel to keep themselves in good health. While fennel has been put to many uses over the course of time, the one thing that has always been certain is its powers as a digestive aid. As well as stimulating healthy digestion, fennel is known to be an excellent remedy for gas, indigestion, heartburn, and irritable bowel syndrome. This is fairly agreed upon all over the world. The United States once listed fennel as an official drug to be used as a digestive aid. In India, fennel seeds are often placed on the dinner table after a meal to help digestion. Italians put out fennel (the root) after dinner for the same reason, and Spaniards drink an after-dinner cordial made with fennel seeds. A common European concoction for relieving flatulence is a combination of fennel, chamomile, caraway, coriander, and bitter orange peel. Fennel seed tea is known to soothe the stomach and intestines. Fennel seems to help alleviate the symptoms of colds, bronchitis, and upper respiratory infections by acting as an expectorant and by soothing and calming the esophagus. Some old folk remedies for chronic coughs were syrup made from fennel and fennel oil mixed with honey and warm water. 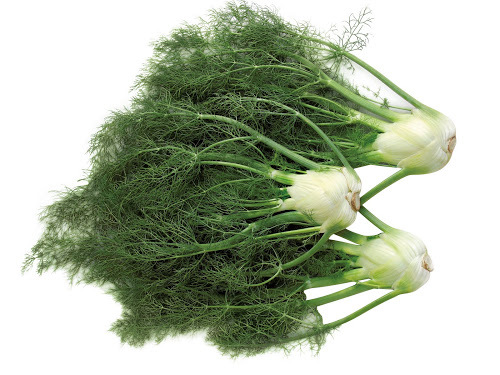 Fennel is a hepatic, which means it benefits the liver. Hepatics improve the functioning of the liver and can sometimes increase bile flow. This in turn improves overall health because the liver plays a vital role in the functioning of the entire body. Depending where you get your information, you may find out that fennel induces appetite or reduces it. As for the former theory, fennel is often served before a meal because it is believed to encourage appetite, which makes it good for people who have trouble eating or who have no appetite due to illness. As for the latter theory, fennel has been eaten in different parts of the world during times of want in the belief that it would curb hunger. In ancient Rome, women believed that eating it would keep them from becoming overweight; their weight maintenance or loss was most likely a result of their lack of appetite after eating fennel. There seems to be equal amounts of argument on both sides, perhaps because it does both. It is not unusual for a food to perform seemingly opposite functions. • Is believed to increase milk flow in nursing mothers. • Is an antispasmodic and antiinflammatory, and fennel oil, applied topically, can ease pain and inflammation from rheumatism and arthritis. • Has been given to cancer patients after radiation and chemotherapy treatments to quell the resulting nausea. However, reports suggest that because fennel has estrogen-like activity, that anyone with an estrogen-dependent cancer should not eat fennel in large quantities. More studies are being done on the subject. • Is a good source of vitamin C.
• Improves the taste of "borderline" food. In the 15th century, Venetian wine sellers made unsuspecting customers eat fennel before letting them taste their bad wine; they told the customers that to drink wine on an empty stomach was harmful. • Fennel seed infusion has been used to treat conjunctivitis and blepharitis (inflammation of the eyelids). Fennel juice has been proven to be beneficial to those with cataracts, too. Pliny the Elder reported that molting snakes ate fennel to restore their eyesight. • Because of its soothing effects, fennel has often been used as a sedative for small children. • Apart from aiding digestion, another good reason for serving fennel after a meal is that it also acts as a breath freshener. • Some religions believe fennel wards off evil forces and negativity. During the Medieval period, in particular, people believed that fennel, along with other items, warded off witchcraft and was hung over doorways as a talisman. • In ancient Rome, fennel was considered an aphrodisiac and symbolized flattery. All parts of fennel are used—-the root, the seeds, and the leaves. To eat the root, simply wash and cut it, removing the core, and eat. It can also be cooked, either on its own or together with other ingredients (see the recipes below). The leaves can be used to flavor soups, stews, sauces, salads, and other foods, or to make a mild tea. To use the seeds, simply chew on them or add some to a dish, such as soups and stews, pasta, or braised vegetables. To make a tea, lightly crush about a teaspoon of seeds and place them in the bottom of a cup. Fill the cup with boiling water and let the seeds infuse the water for about 10 minutes. Drink this 3 times a day, or to prevent gas, drink it before a meal. To use fennel oil, apply to areas of the body where rheumatism or arthritis is felt. For children, it is best to dilute it with a carrier oil to prevent skin irritation. For conjunctivitis and blepharitis, some doctors recommend washing or flushing your eyes with the infusion. According to the 14th-century English poet, Chaucer, fennel was one of nine holy herbs of the Anglo-Saxons. I can understand why. Just about everyone suffers from a bout of indigestion every now and then and to have something that naturally eases that is precious. Even the ancients knew that. And below are some ways to serve this aromatic, flavorful, and helpful food. 2. In a large, wide saucepan, melt 1 tablespoon butter over medium-high heat. Add the shallots and chestnuts, and sauté, stirring occasionally, for 5 minutes or until the chestnuts are browned on all sides. Cover the pan, reduce the heat to low, and cook, shaking the pan occasionally until the chestnuts are slightly tender, about 5 minutes. 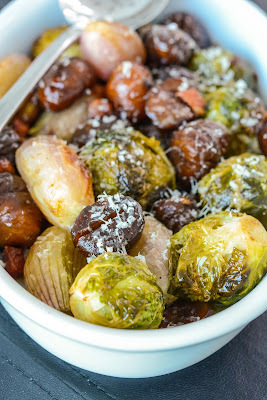 Remove the shallots and chestnuts from the pan, and set aside. 3. Add the remaining 3 tablespoons butter to the pan, and melt it over medium-high heat. Add the fennel and sugar, and sauté until fennel is well browned on all sides, about 12 to 13 minutes. If the sugar begins to burn, reduce heat and continue to cook. 1. In a small saucepan, heat oil, fennel leaves, lemon juice, crushed garlic and salt and sugar. 2. Simmer over low heat for 5 minutes. 3. Pour over a bowl of sweet red onion and thinly sliced cucumber.